﻿ Questions? Ask ChemRight Laboratories, Inc. The Right Results, Right Away! Accuracy is a measure of how close a test result is to the actual value. Precision is a measure of how close a test result is to a repeat of the test. One way to look at this is as though you are target practicing. 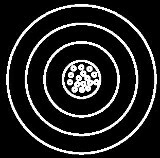 The following pictures help to illustrate the different ways that accuracy and precision can impact your test results. How much quality control over results does CRL have? CRL’s quality control program is extensive and is contained in our QA/QC (Quality Assurance/Quality Control) Manual. The Table of Contents can be found at chemrightlabs.com/qa-qc.html. We estimate that 20-30% of the samples we run are not customer samples but rather the extensive QA/QC program samples that are designed to give you and us the highest confidence in our data. Why should I use CRL instead of the lab I am currently using? Three reasons – 1) We are close – and that can mean a lot in terms of sample shipping costs and turn around time. You can stop in and visit the lab at any time. 2) Accuracy – we will not compromise the quality of data in order to keep our costs down. Our customer’s needs come first. 3) Trust - CRL is owned and operated locally. David Gossman, owner, is a local farm owner and was named 2004 Outstanding Woodland Owner by the Jackson Soil and Water Conservation District. How qualified are the people at CRL to perform water testing? CRL has a team of highly qualified chemists and other professionals please visit our Contacts page for more information on the qualifications of our staff. What equipment does CRL use for metal testing? How does that differ from other labs or from the test kits that are used in the field? There are numerous methods for testing for metals in water. Some of these are simple field tests that are done with color comparative methods. We have some of these available for use when there are special needs but these tests frequently use toxic chemicals, and are not very sensitive or accurate. A farmer friend refers to these as “bathtub chemistry”. Another method that is used by many labs utilizes an ICP (inductively coupled plasma spectrophotometer). This method is fast and has the advantage of good detection limits and simultaneous testing of many metals all at once. It has the disadvantage of numerous interferences (many of which are found in soil). 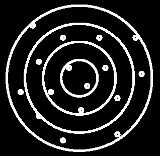 To often the results from the computer are provided to the customer without a close look by a chemist with the experience to spot and correct for these interferences. We have seen many errors over the years from numerous labs when using this test method – even from highly qualified commercial industrial labs. An older and somewhat more reliable technique utilizes an AA (atomic absorption spectrophotometer). This is the method that CRL uses for most samples because of the historic accuracy and reliability of the equipment. The most current and expensive option for metal testing is ICP-MS (inductively coupled plasma – mass spectroscopy). When this equipment is used by a skilled professional it produces the most accurate and sensitive results for most metals. As our business level develops there may be a time when CRL can afford such equipment. In the meantime we will stick with equipment we know can produce reliable results at a reasonable cost to our customers. Can you email my results to me? Yes. Just let us know your email address when you drop off your sample. We can send your results via email, regular mail, both or by fax. Why shouldn’t I use the lowest cost lab I can find for water tests? Aren’t they all the same? No, they are not all the same – we have all heard the adage that “you get what you pay for”. This is as true for lab services as anything else. We have heard of operations that take the soil samples in the field and provide the results for a very low cost per sample. It does not take a lot of thought to realize that corners are being cut somewhere. We can work with you to develop a quality sampling and testing program that will result in real cost savings and increased profits. Can I visit and tour the laboratory? Certainly! We love to have visitors and give tours of the lab. You are free to stop by any time but to get the “full tour” please call ahead so we can make sure someone is available to show you around. What are the important questions I should ask to help choose the right lab to do my water testing? What are they doing to insure data quality? What are they doing to make sure that they do not generate hazardous waste and create an environmental burden? Are they certified by the state of Iowa? Does a professional directly supervise all testing and review all customer reports? What is the professional experience of the lab managers and owners? Can you review the standard operating procedures and methods that are used on your samples? Do the tests that CRL performs on water samples generate any hazardous wastes? No, although that is not the norm for many laboratories! We have extensive professional experience in the waste management industry and know the liabilities that our customers and we incur if hazardous waste is generated. We have specifically ruled out lab methods that generate hazardous waste, even if they are faster and cut lab costs. That is part of our commitment to the environment. Join us in this commitment – tell whichever lab you use that they are not to use any procedures that generate a hazardous waste requiring disposal.